Although known to an audience of millions the world over for his portrayal of The Doctor's arch nemesis The Master in Doctor Who during the 1980's, Anthony Ainley had a prolific career which encompassed starring roles in Spyders Web and It's Dark Outside, as well as appearances in renowned dramas such as The Pallisers, Elizabeth R, Nicholas Nickleby, Upstairs, Downstairs, and cult films including Blood On Satan's Claw and The Land That Time Forgot. But the dramas in Anthony's real life were far more fascinating than any of the many parts he played on screen. Born the illegitimate son of actor Henry Ainley, and taken into care at the Actors' Orphanage at the age of four, the hidden story behind one of Doctor Who's most enigmatic characters is brought to life by author Karen Louise Hollis. 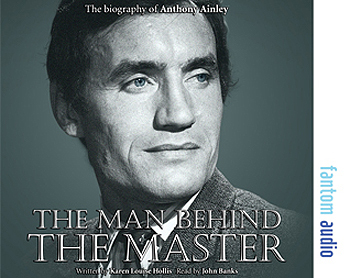 Using exhaustive interviews with friends and colleagues from every aspect of Anthony's life, including his best friend from school, fellow children from the Actors' Orphanage, cricketing friends, colleagues, and those who remained close to him until his death in 2004, this book aims to uncover the real Anthony Ainley - The Man Behind The Master.